Do you wonder why you are here? What are you meant to do in this life time? Many of us, all over the world, wonder about this. You are not the only one. When doing this exercise, back in 1998, this is what it showed me personally. I am here to “create a safe space for lightworkers to come and be supported, to learn and to grow.” This helped me create my heart centered business, products and services that I share today. I do many things, but this has always been the base of what I do, and who I do it for. This short webinar will give you a general idea of why you are here and will possibly give you other insights about yourself too. Many people use the words, claircognizance (clear knowing), clairvoyance (clear seeing), clairaudience (clear hearing), and clairsentience (clear feeling). These metaphysical senses supplement your five physical senses. Some use “intuition”, “gut feeling” or other words to describe our knowing and sensing things outside of the five senses. 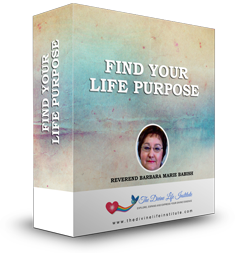 In this program you will learn about the four main gifts that are available to you. The four “clair” gifts are your natural gifts. Use may be using them now and not even know it. We will go over each of those four gifts and as a special bonus you will receive an activation for each of these gifts. We will be working with the Divine Guidance team called The Present Ones. For those that wish to receive those four gifts, or a single one of them, we will share with you a Divine Activation for that gift. You will receive the keys and codes that you need to open up these gifts so you are able to start using them immediately. You will be receiving information and directions on how to receive guidance from cards, such as animal cards or angel cards. You will learn about muscle testing which also can be used to pick up guidance. We will even cover how to use a pendulum for guidance as well. These three tools, are great to receive answers or even to use for confirming answers that you receive while you are expanding your other four natural gifts. 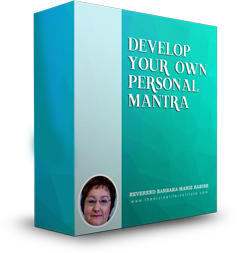 With your four natural gifts activated and the information on the other three tools you will be well equipped to receive your Inner Guidance for a lifetime. This leads you to a worry free life of making clear decisions for you and your family or even your business. This is an amazing program that is for everyone who wants to experience receiving crystal clear inner guidance. Inner guidance is the best way to find answers to your daily life or even business questions. This is a truly remarkable and valuable program. It gives you not only information to use, but also the spiritual connection that is very natural for every human being. You have asked for it! It is being created NOW! This will be our most comprehensive program to date. We will let you know when it is available to our members. Many spiritually advanced people use daily mantras. Mantras have power. In this short webinar, we help you develop your own. It could be one line, one sentence or much more. Here is the one I created in 1998 for myself. “I live a balanced life and I surrender it to God. I am abundant in all things. All things come to me easily, gently and gracefully for the highest good of all. It is fun to create and if you follow Divine Guidance it will be life changing. 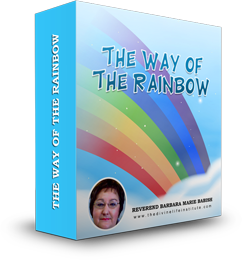 The Rainbow Method is presented in this program called The Way of the Rainbow. It consists of a series of physical, mental and spiritual tools. They are presented in a Rainbow color coded system, to get you from where you are, to where you want to be. The key to this is staying connected to your spirit in order to follow your inner guidance and your intuition. The Rainbow Method of Transformation keeps you connected! The Rainbow Method has been passed through me ever so gently and simply. You will be surprised at the easy, simple process that is given in seven steps. You will be excited to learn that you can use this method for positive results in all areas of your life. Again, they are simple and easy and you will see the results yourself. There seems to be a true Spiritual Blessing on this method. It is able to reach each individual at their own level of understanding. The more consistent you are in using the steps, the greater results you will experience. This method consists of seven steps represented by the colors of the rainbow, which also align with the chakras. In those seven steps there may be other steps and tools used to assist in transforming the energy of our focus at the time. In some of those steps you will find the help to change your thinking. You will find assistance in finding what may be blocking you from success. In other steps you will find the healing of your thoughts and emotions. There are many dimensions to the Rainbow Methods. Each person will understand them and use them differently. Everyone using them has achieved positive results. Using any ONE of these steps consistently will change your life! We will let you know when the next session becomes available in 2018.